Franconia bed and breakfast travel guide for romantic, historic and adventure b&b's. 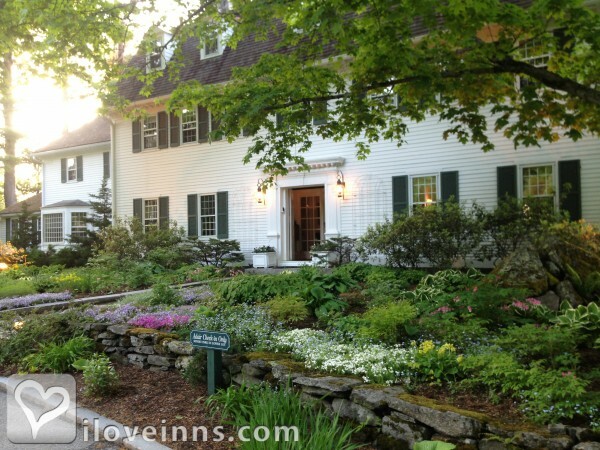 Browse through the iLoveInns.com database of Franconia, New Hampshire bed and breakfasts and country inns to find detailed listings that include room rates, special deals and area activities. You can click on the 'check rates and availability' button to contact the innkeeper. Other towns and cities may take immense pride in the fact they have tall buildings and other modern structures. Franconia in New Hampshire, however, boasts about the absence of such. This is because without the artificial eye-candies, visitors and residents of Franconia can enjoy all nature has provided them with. Franconia can indeed claim that it is blessed with several gifts from Mother Nature. Three miles away is Flume Gorge, a geologic formation that is often captured on camera. A bit farthe from Franconia is Cannon Mountain, famous not only for is unique appearance but also for its great slopes for skiing. Near the heart of the town is Franconia Notch State Park, which has been labeled as one of the 12 best parks in the country. Another favorite destination by visitors is Old Man of the Mountain Historic Site. Franconia bed and breakfast accommodations are available all year round. By Franconia Inn. Being situated in New Hampshire's White Mountains, makes Franconia an ideal destination for those who want to enjoy fresh air and scenery. This Grafton County town happens to be where the Franconia Notch State Park is located. Hiking through the woods is one activity to enjoy at the nearby White Mountain National Forest. While trekking, make it a point to see Flume Gorge, an amazing geologic formation located only three miles away from Franconia. Skiers and mountaineers can pick the challenge of the slopes at Cannon Mountain, which is the top skiing spot in Franconia. Four miles away from Franconia is another favorite destination for avid nature photographers, the Old Man of the Mountain Historic Site. This rock formation may have collapsed but the scenery is still breathtaking. Vacationers need not worry about accommodations with so many Franconia bed and breakfast inns around. By Lovetts Inn.